Pies are a ‘thang’ of the South. I have always had a hard time baking pies, except for fried pies. My family loves sweet stuff so I found the nerve to attempt this one and it turned out purrrfect! I served this with sweetened whipped cream but vanilla ice cream will be the next topping to try with this recipe. 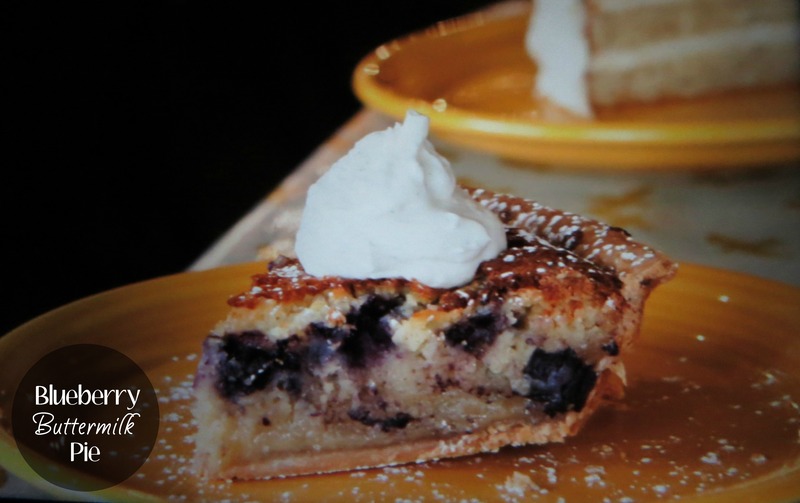 Preheat oven to 350*F. Place blueberries in pie crust. Set aside. In a medium bowl, beat butter, buttermilk, eggs and vanilla extract at medium-low speed with an electric mixer until butter is in nickel-sized pieces, approximately 1 minute. In a small bowl, stir together sugar, flour, and salt; stir into egg mixture. Pour into pie crust. Bake until set, 60 to 65 minutes. Cover with aluminum foil to prevent excess browning, if necessary. Let cool before serving. Top slices with whipped cream, if desired.